Dr. James McCreary and our team hear this question a lot. While many people believe periodontal disease is an adult problem, studies have indicated that periodontal disease, also known as gum disease, as well as other serious infections such as gingivitis and periodontitis, are prevalent among kids and adolescents. First, let’s identify the differences between gingivitis, periodontitis, and periodontal disease. Periodontal disease is a chronic bacterial infection of the gums, periodontal ligament, and bone that surround and support your child’s teeth. Periodontal disease causes gums to become red, swollen, and tender, and can even cause the gums to recede (pull away) from the teeth. If left untreated, periodontal disease can lead to tooth loss. 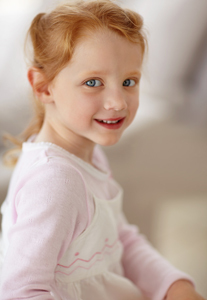 Early diagnosis of gingivitis, periodontitis, and periodontal disease can give you and your child peace of mind. If you are concerned your child is suffering from gum disease, we recommend that you give us a call at our Pensacola, FL office. We look forward to working with you and giving your child a smile to last a lifetime!